On Monday April 3, 2017, the Lledo's received the devastating news that no parent ever wants to hear. 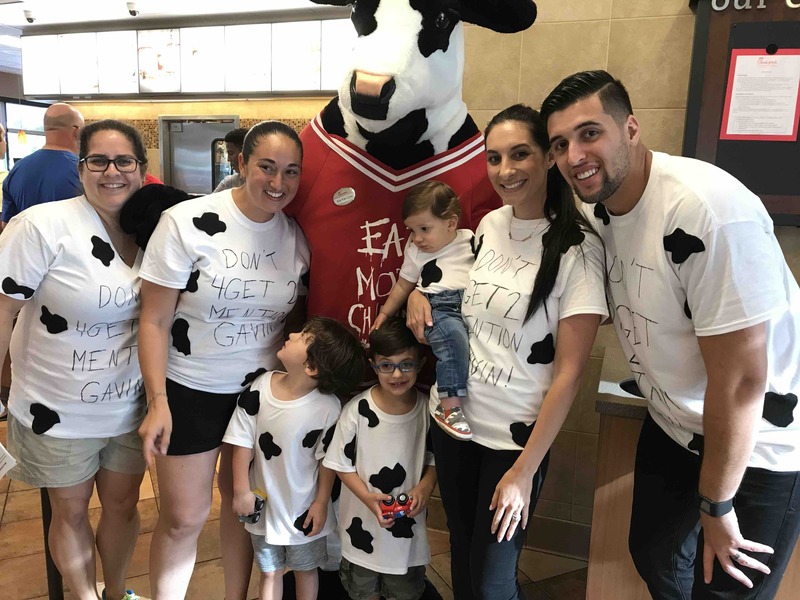 Their son Gavin, 3 years old, has been diagnosed with Retinoblastoma, (eye cancer). Within one week they were teamed up with a highly skilled group of Doctors in Phildelphia. 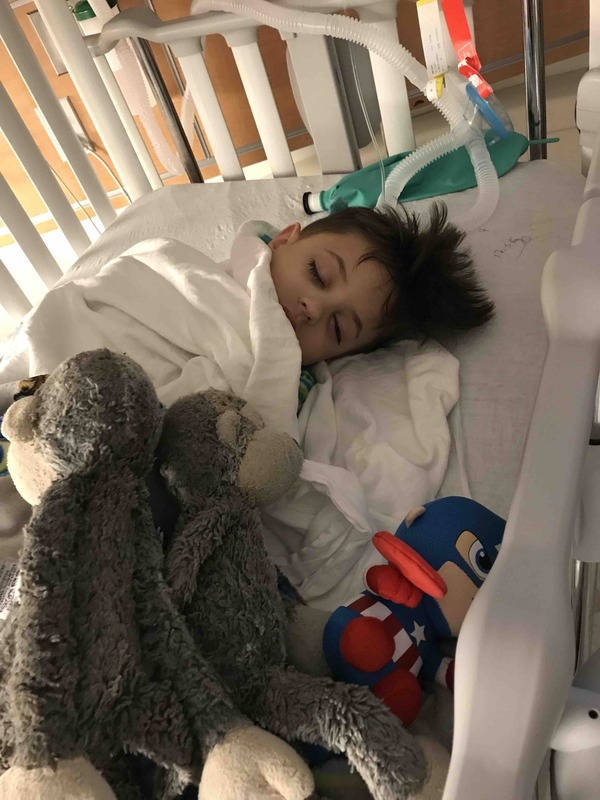 In order to save Gavin's life he will be undergoing surgical procedures on April 12 and will begin his long road to recovery. 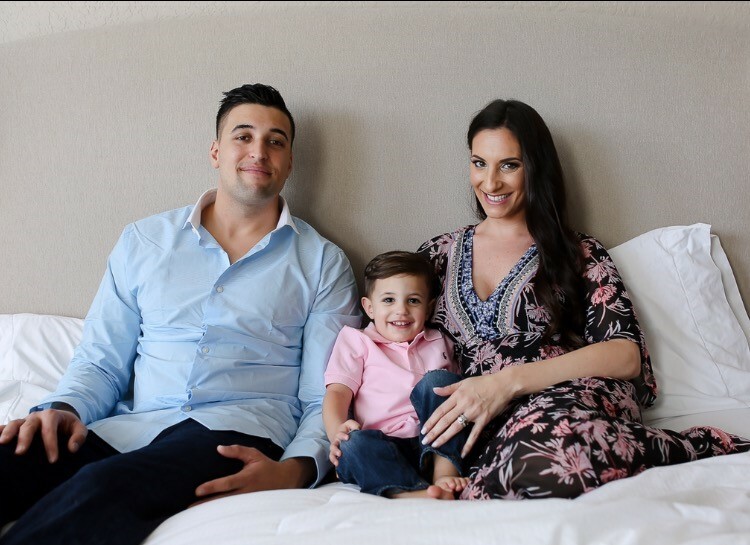 Jamie and Rodrigo Lledo are two loving parents to not only Gavin but also their son Mason, 8 months old. Your support means so much to Jamie, Rodrigo, Gavin, Mason and the entire family. Funds raised will directly go towards expenses for the journey ahead. 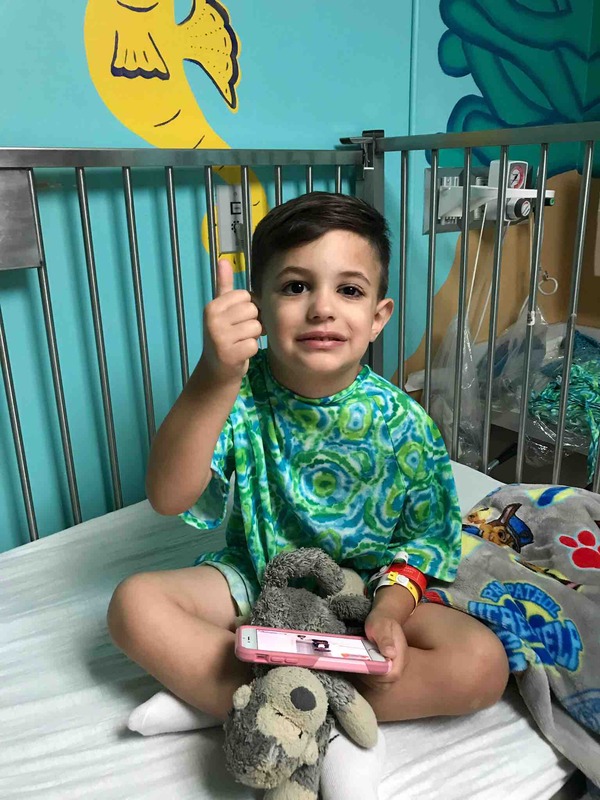 We all love the Lledo family very much and want to assist them through this unfortunate time, without having to worry about anything else other than Gavin. Today is the last day of the year and we are ready to start 2018! This has without a doubt been the most difficult and challenging year we have faced as a family. As we reflect back on 2017 we are extremely grateful to have each other, our health, family and friends. We were unfortunately shown how quickly life can change from one day to the next. Through all the bad and hard times we were also shown how amazing our community is. From the minute Gavin got diagnosed we had a huge team of people supporting our family. We are forever thankful to everyone who has been along this journey with us. We are ending this year on a high note and we wanted to share the wonderful news with you all. Gavin was submitted to the Make a Wish Foundation in July. He had 2 wish grantors come to our house shortly after his got his magic eye. He told them that he wanted to go to Disney World. So, his fairy godmothers went to work to make this happen for him. We planned a family bbq a few weeks ago. We told Gavin that our family was coming over for lunch but we kept out a big surprise. “Ding Dong” When Gavin opened the door, he was greeted by his wish grantors holding balloons, cake, ice cream, a present and a big folder. 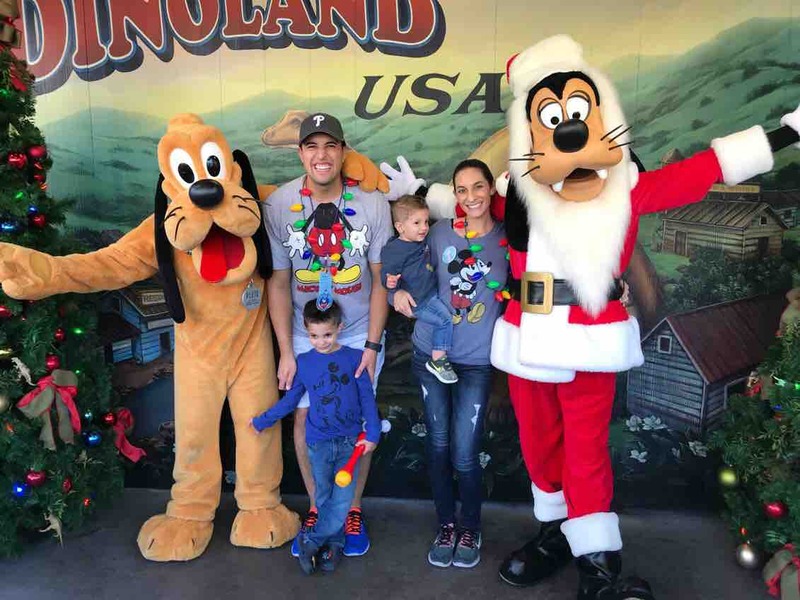 On that day he found out he was going to Disney World to celebrate his 4th birthday and Christmas. Our family got to be there for his big surprise and It was so special! On December 22nd we headed to Orlando. We arrived at the most magical place called Give Kids the World Village. This is a special place that has been designed to give wish children a week full of fun and hope. Our family met us in Orlando for a few days to celebrate this once in a lifetime experience with us. I don’t have enough words to describe the kindness, generosity, and love we were given at GKTW. This village operates on volunteers, incredible people and company’s that donate to them. 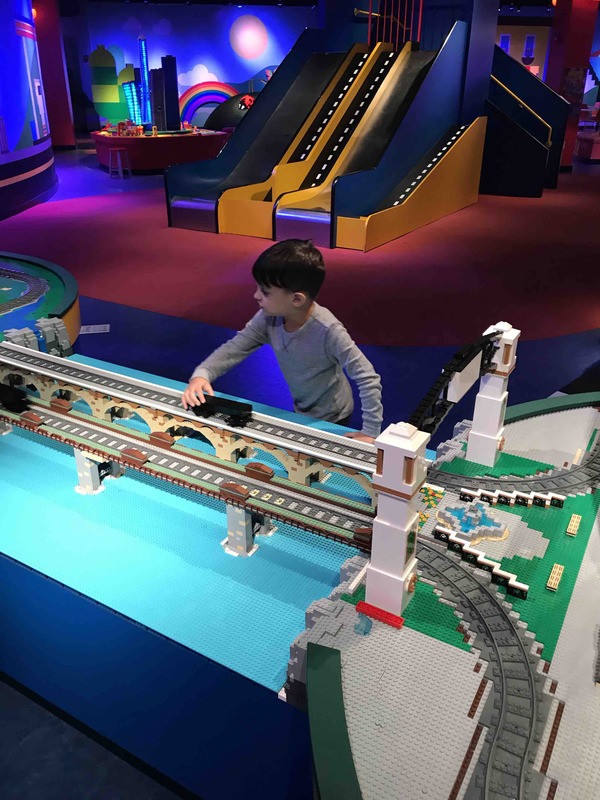 We were provided with tickets to Legoland, Magic Kingdom, Animal Kingdom, Universal Studios, Islands of Adventure, Hollywood Studios and Sea World. Gavin had a special pass that got him special perks in every park and we were treated so kindly! 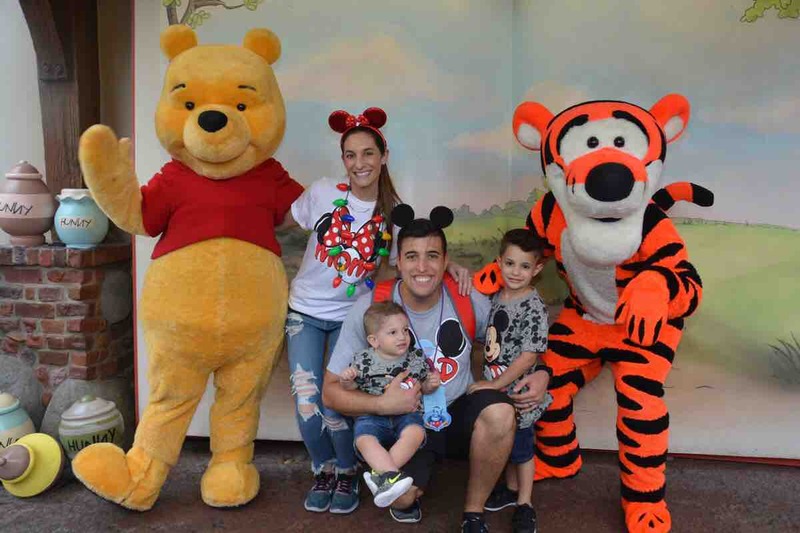 Disney and Universal work with Make a Wish and GKTW and they truly gave us the royal treatment. 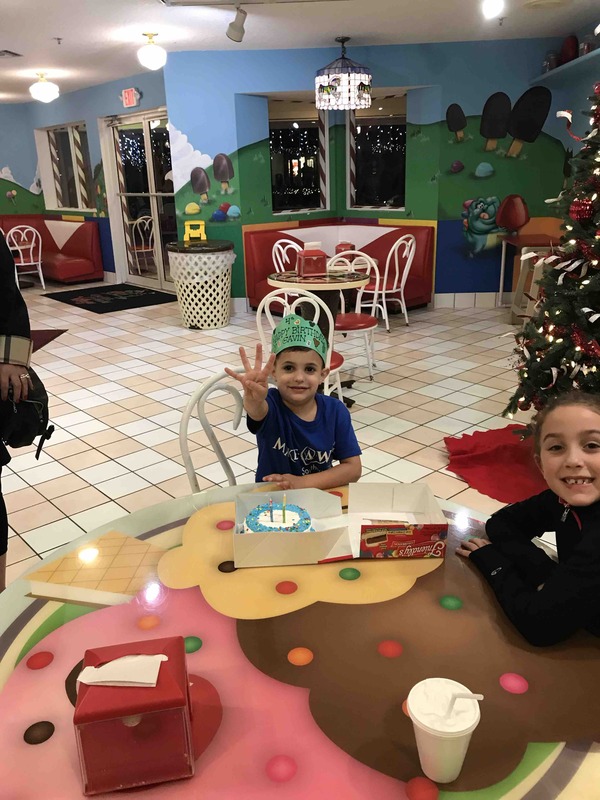 It was the most incredible way to celebrate our baby turning 4! At the village, Gavin was given a gold star to put in the Castle of Miracles. His star was placed amongst the stars of every child that has been granted this amazing opportunity. There are thousands and thousands of beautiful gold stars all over the walls and ceiling in this castle. It was a very emotional experience for us. We look forward to going back to the village to show Gavin his star. He is now an alumni of GKTW and is welcomed back whenever he wants to visit. This is an organization that our family has been blessed to learn about. We truly had the best time on Gavin’s trip and were so happy to be together as a family. This was the first time we got to travel with Mason. Seeing our boys smile and so happy was the best way to end 2017. Our New Years resolution is to volunteer at GKTW and provide other wish families with the same amazing experience that we had. In January, Gavin will be starting occupational therapy twice a week. We are now going to tackle all of the challenges that have come with vision loss and major anxiety. We will also be seeing our team of local doctors this month and are hopeful for good reports. Thank you again to everyone that follows us, supports us and prays for us. We wish you all a Happy New Year filled with love, luck and good health. Please continue to pray with us for Gavin’s recovery from Retinoblastoma. We are settled back at home and couldn’t be happier to have another trip behind us. I have probably mentioned this in a previous post but without a doubt Gavin is the strongest and bravest little boy. The things he has to go through are difficult and I wish this wasn’t our reality. 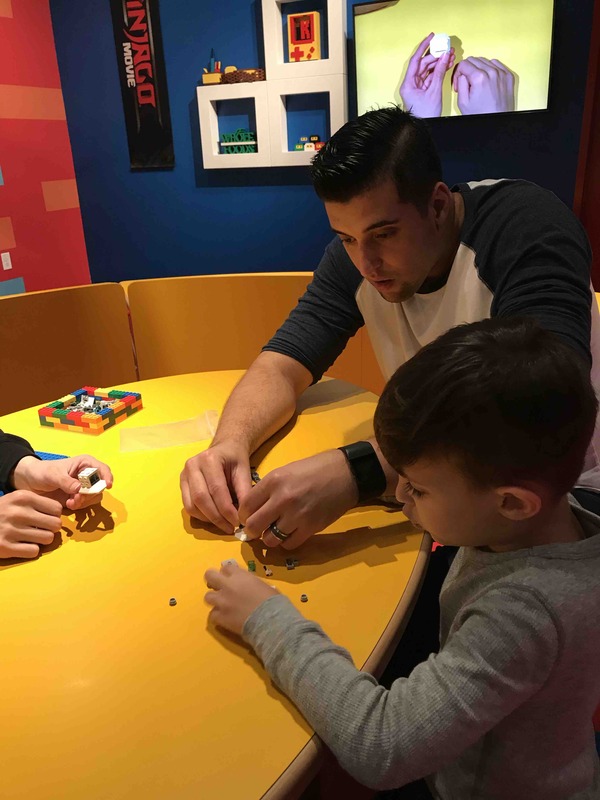 On Monday we went straight from the airport to Legoland Discovery. Rodrigo and I try to bring him some place fun and enjoyable every time we go to Philly. We not only want him to have fun but we don’t want him to associate a plane ride with the hospitals. He loved Legoland! I’ll post a few pics below. Tuesday was tough! The nurses had a hard time finding a vein for his IV and it was a process. Once Gav was out of his MRI and awake we saw his pediatric oncologist. She said his MRI looked good and his blood work came back good as well. Good news!!! We were informed that 2 years post enucleation is when the chances of cancer returning are the highest. It isn’t a high percentage but the possibility is there. The next MRI is in 6 months and his next set of lab work is in 3 months. After 2 years, he will be 5 and the percentage rate of cancer retuning decreases each year. On Wednesday Gavin had his EUA (exam under anesthesia) at Wills Eye Hospital. His doctors reported a healthy eye socket, said his prosthetic is still fitting well and his right eye looked great. We are so thankful for his good reports. In 3 months we will see our local doctors. We are so happy that we don’t have to fly back up again in January. Gavin needs a break from the hospitals. We will be heading to Jacksonville in a week to meet with the ocularist and check on the fit of his magic eye. We wish everyone a Happy Halloween. Have fun trick or treating and be safe. Thank you so much for your prayers before and during our trip. From the phone calls, texts and prayer candles we truly have the best support system. Thank you so, so much. It has been about 3 months since we have last updated. We apologize for not posting in a while but have lots to share with you. The Chick fil a fundraiser was amazing. It was so nice to be surrounded with love and support. The money raised went to directly to medical bills and we are so appreciative. Our last trip to Philadelphia went well. Gavin’s blood tests were perfect and his eye exams looked good. Gavin’s ocular oncologist was very pleased with the healing of his eye socket and his prosthetic eye. She said he has great movement and wanted the name of our ocularist because she was impressed with his work. This was a huge compliment coming from a famous doctor who sees thousands of prosthetic eyes. Shortly after we returned to Florida, we took a road trip to Jacksonville to see John (Gavin’s ocularist). His eye was still fitting great so he only needed to have his eye cleaned and polished. The purpose of polishing the eye is to make sure it is very smooth and has no sharp edges or rough areas. The week following this visit was difficult. Every time the eye goes in and out, Gavin’s body reacts to the foreign object. This creates swelling and a lot of eye discharge. It’s bothersome for him and uncomfortable. He ended up rubbing and turned his eye upside down. When the eye turns it doesn’t fit properly causing pain. So of course we had to fix it for him which is a process that involves anxiety for all of us. When we turn the eye, we have a tool that is like a small suction cup that allows us to get ahold of the prosthetic and rotate it. We have tried everything with Gavin from allowing him to help, to having him distracted with the tv and everything in between but he just panics. He is only 3 and at this point in his life the only way we can successfully do this is to have one parent holding him down while the other turns the eye. It is so deeply emotionally painful for us. He does not understand that we are helping him. In time, this will become easier. A few weeks later, Gavin started school. School is going great! Over the past few months, Gavin has been learning so much, making friends, and most importantly he is happy. His vocabulary has increased tremendously and shocks us with the things that come out of his mouth. About 4 weeks ago we got the call that we have been waiting for. The genetic testing was finally in. 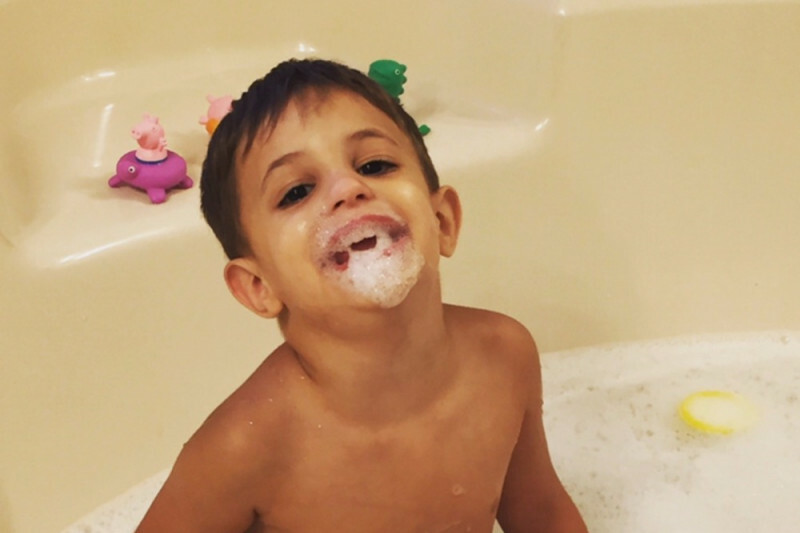 The reports showed that Gavin was not born with retinoblastoma. It confirmed that this was like being struck by lighting. Rodrigo and I are not carriers and this also means that his right eye should stay cancer free. What a relief to know this! This is the direction our doctors have been thinking but it is so nice having the confirmation. This also means that Mason has the same odds that any baby does in regards to getting this type of cancer. We are still going to have Masons eyes checked but he doesn’t need to go every 3 months anymore. The protocol for treatment doesn’t change due to the genetic reports. 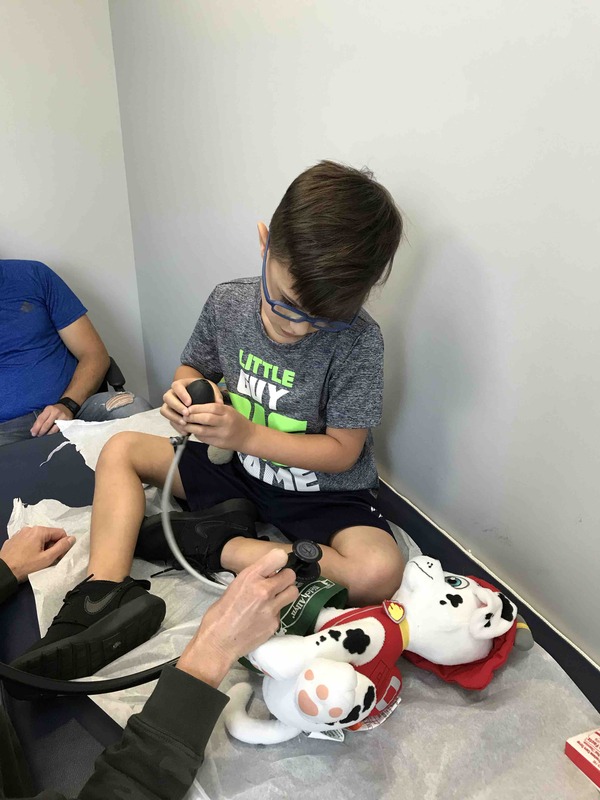 On Friday, Gavin had an appointment with our pediatrician to get cleared for our upcoming trip. We leave tomorrow morning to head up to Philadelphia. During the next few days Gavin will be having a MRI, blood work, exam with his pediatric oncologist, and his eye exams under anesthesia. His will be going under anesthesia two days in a row. We are extremely anxious and nervous. This will be a lot for our baby to go through. We are going to stay strong and take it day by day. Please say a prayer for our family. We appreciate your love and support. We will update you later this week on how our appointments go. On Monday, we had a few doctor appointments. First we went to the dentist for Gavin. When I got there I had to fill out updated paperwork for them. I must say, writing down that my child had cancer is such an out of body experience. It still doesn't feel real. I hate cancer. Of course, the doctor had a ton of questions for me before Gavin could get seen. It's hard to relive this story over and over without getting choked up. Gavin gets a lot of anxiety when he sees doctors. Our poor baby has been through a lot and he gets very scared. This appointment was no different. His dental cleaning involved many tears, hand holding and hugs. It breaks my heart how scared and anxious he gets. Thankfully our dentist is extremely child friendly and it was over quickly. The next appointment was a trip to our local ophthalmologist. This appointment was for Gavin's baby brother to have his eyes checked again. It has been 3 months since his last eye exam. Without going into to much detail, let's just say it it was not a pleasant experience. I don't think having to hold down either of my babies while they go through this will ever get easier on me. Luckily, Masons eyes look good and we are so thankful for that. The doctor and office staff was so happy to see Gavin. This was their first time seeing him with his magic eye and they thought he looked great. Gavin was so worried about Mason during this appointment. He hated hearing his baby cry. It was a stressful day to say the least. On Wednesday we headed to our pediatrician. Gavin had to be seen for his pre-op. He had a good appointment and was cleared for our big week. He was such a good patient! He definitely feels the most comfortable around her. I had an opportunity to look into Gavin's right eye with her while the lights were off. She knows how worried I am so it was comforting to see red reflex. We leave on Monday for Philadelphia. We are scared, nervous, losing sleep but hopeful. Gavin will be seeing his pediatric oncologist and his ocular oncologist. On Wednesday, he will be getting put under anesthesia to have an in depth exam on his right eye. This eye has been clear of tumors and we are praying that nothing has changed. Please take a moment and say a prayer for Gavin and pray that everything goes well for us. We are also hoping to get back his genetic testing results. It has been a long wait. When we return we will be joining our family and friends at Chick fil a. 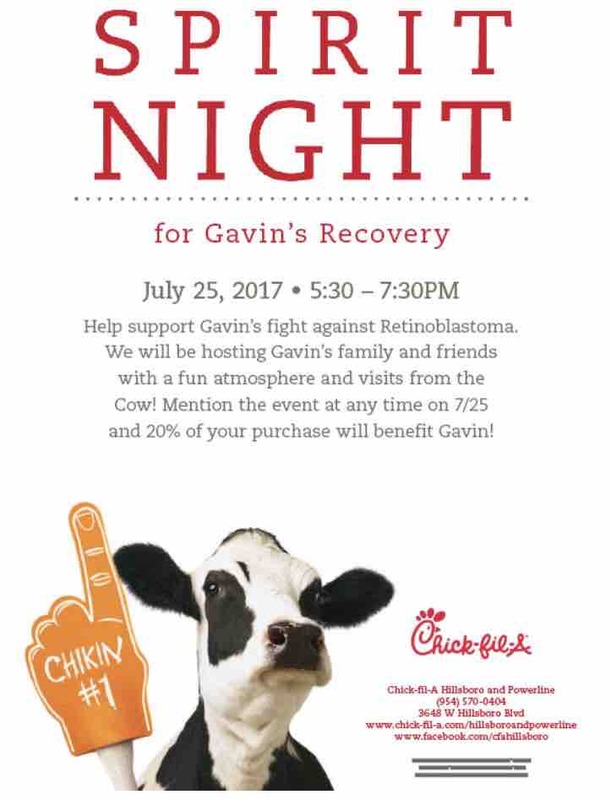 Our good friends have organized a spirit night in honor of Gavin. The event is on July 25th at the Deerfield Beach location. Please come out and enjoy a meal and mention Gavin's name at the register. I will attach the flyer below. Gavin can't wait to meet the cow! We hope to see you there. Thank you all so much for supporting us. Please share the flyer with your family and friends. Thinking of you through this difficult time praying for your family for a quick recovery. If you need anything me let me know ! Assuming Gavin takes after his father, he will come out of this on top and stronger than ever. Praying for your family and hopeful for a speedy recovery. Jamie so happy to hear the doctor who created Gavin's eye is what you had hoped for. So glad you are all pleased with the prosthetic eye. So happy Gavin did so well with all of this and that he is swimming and in camp! Thanks for the update! Prayers continue for you all! My prayers are with your precious little boy and your family.